Have birds and pigeons taken over your home? Are they leaving droppings everywhere? Are they making noise early in the morning and waking you up? 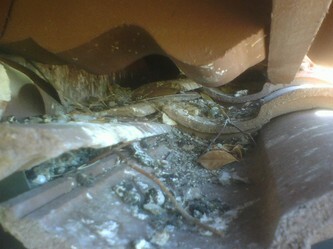 Pigeon and bird infestations are a huge nuisance and an unsanitary health hazard. 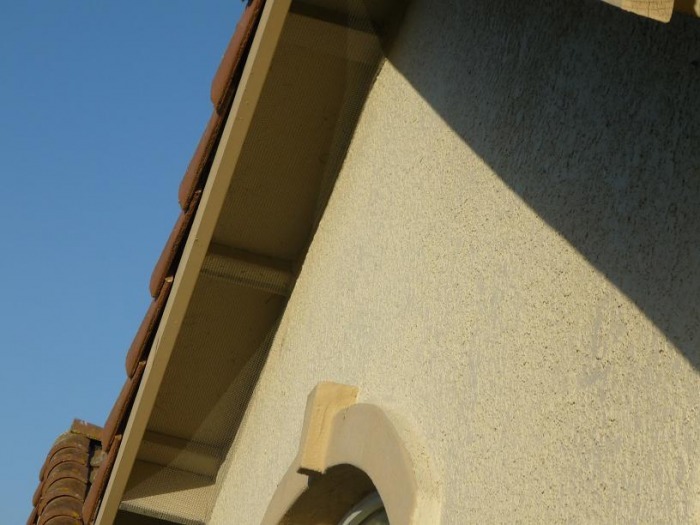 Over time, pigeon and bird droppings can cause great damage to paint, tiles, and even your roofs tar paper which result in water leaks. AJ Services LLC is humane and effective in removing pigeons and birds, and installing deterrents which positively reinforce your property. With homes throughout the bay area being built so quickly, pigeons face a changing environment. Once where there were trees, there are now new homes. 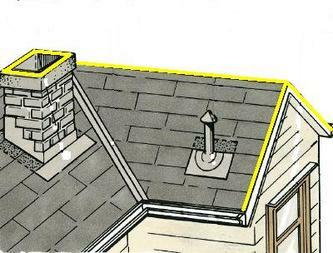 Through adaptation, pigeons have found that building nests in spaces and crevices of your homes roof makes a perfect replacement habitat. Pigeons leave a mess virtually anywhere and everywhere around your home. Whether they are standing on your roof or chimney, building a nest in an eave, sitting on a window ledge or just making noise early in the morning, AJ Services LLC has the solution you need to become "Pigeon Free"! 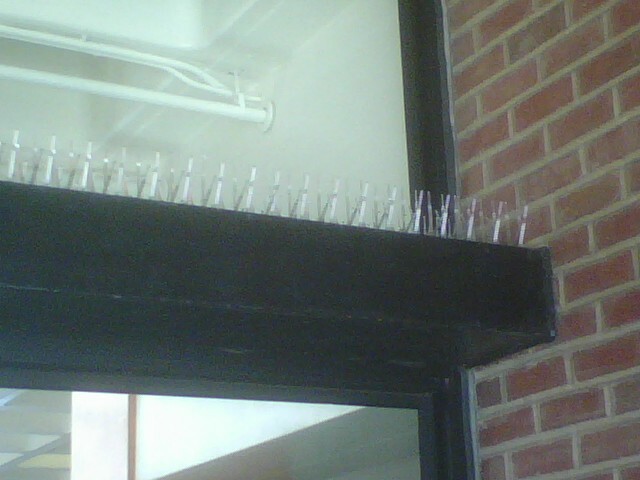 A pigeon infestation can be more serious than it looks on the surface. Along with carrying diseases, Pigeons also carry mites commonly known as "pigeon mites". These mites will be present when pigeons are nesting on your property. 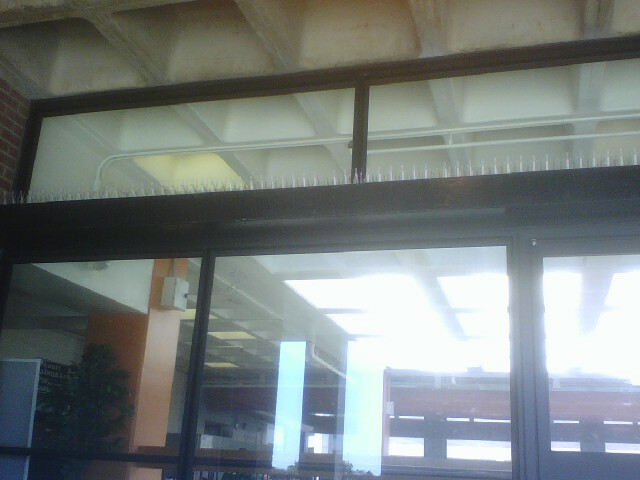 Pigeon mites will feed off of the blood of pigeons and their babies during the duration of the pigeons stay. However, once the pigeons leave the nest is when the problems begin. 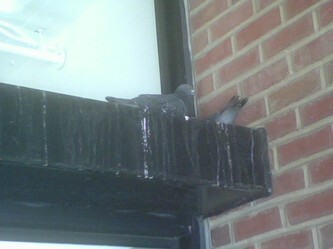 Without a host, pigeon mites will move on seeking a new place to feed. 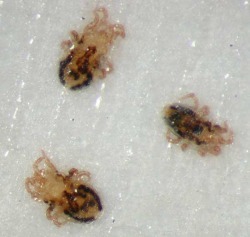 In most cases, these mites will wander their way in to the home and feed on humans at night. These mights can live up to a year and react to carbon dioxide just like your common flea, tick, mosquito. Other than being a meal for these parasites, you risk the contraction of bacteria and diseases. Don't delay, call today! 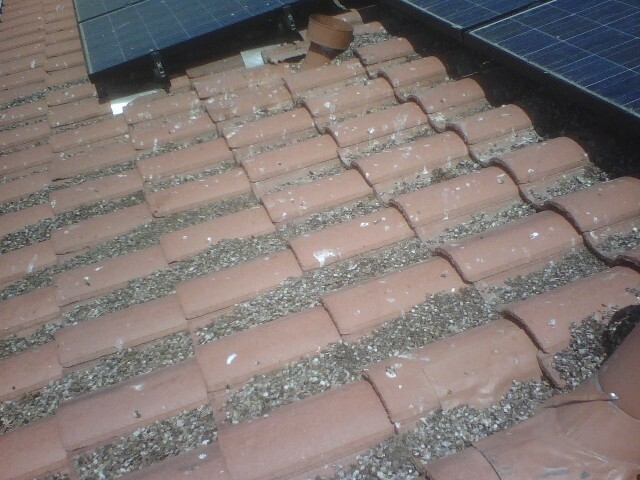 -Pigeons & Birds leave droppings on your property which are not only unsightly but also unsanitary. 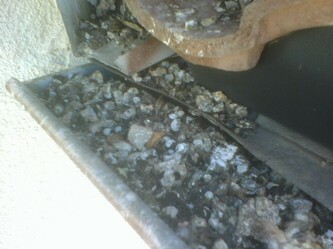 Bird Feces are known to carry diseases which can cause serious health and respiratory problems. Do not allow your home to become unattractive and uninhabitable. (Bird Control) Swallows building mud nest on wall of house. 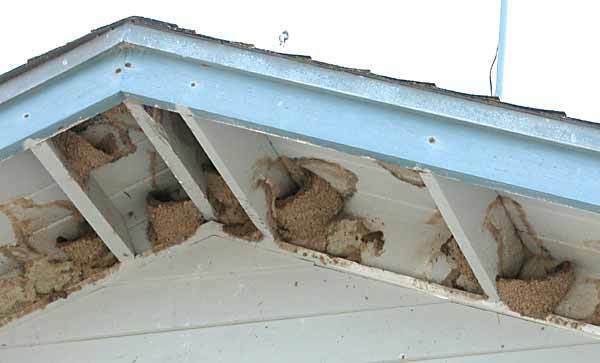 Among other small birds that leave a mess, Swallows are small birds that build mud nest on the walls of your home and create a terrible amount of debris. Not only do the mud stains and abundant droppings pose health concerns, but also make your home visually unappealing. If you have dealt with these birds before, you know that they are persistent, and that knocking their nest down just will not work (not to mention illegal and subject to a fine). These birds return time and time again if the selected area is accessible. 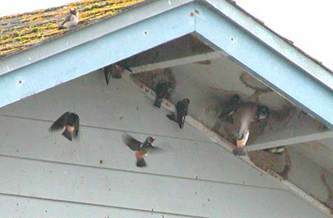 The only sure way to rid your home of Swallows is to net off these areas so that they are unable to build their nest! We use items ranging from spike strips and window spikes to netting and clear gel deterrents. 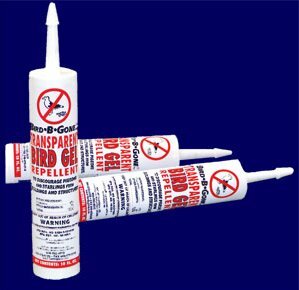 The clear bird gel is a less expensive, but temporary, solution that trains birds not to stand in specific areas where the gel is applied and only last about 6 months to one year(depending on weather and foot traffic). 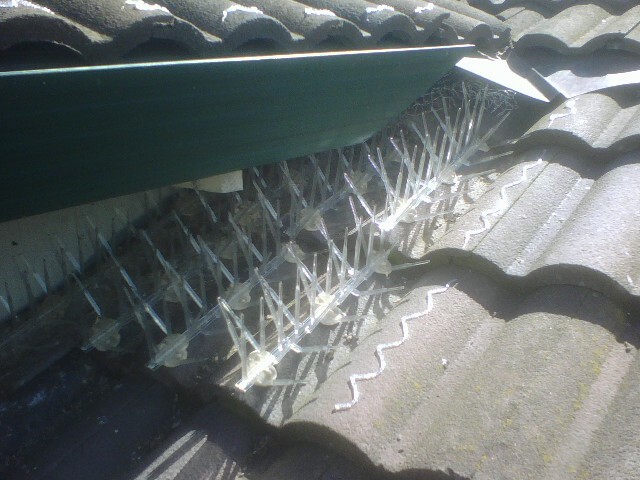 We utilize clear plastic spikes which are more durable than metal spikes due to the fact that they hold their shape over time whereas metal bends and rust. 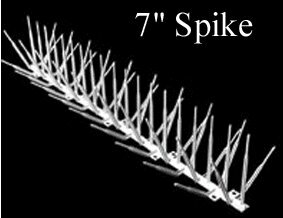 All our spike work comes with a up to a 5 year warranty(depending on application)!